Direct Tax Code Bill approved – Positive for Individuals, Dampener for Corporates! Finally, India is warming up to broadest tax reforms in the form of Direct Tax Code (DTC) and Goods and Services Tax (GST) . The former is centered around expectations to minimize tax exemptions, but widen tax slab on personal finances; and the latter revolves around evolving an efficient and harmonized consumption tax system in the country. While the proposed GST Bill still remains mired by the opposition from BJP on grounds related to fiscal autonomy of States in indirect taxation, the Union Cabinet on Thursday approved legislation for the crucial direct tax reform – The Direct Tax Code (DTC) Bill. 0.1 Personal Income Tax Slabs – Basic Exemption Limits Raised! 1.2 Minimum Alternate Tax @20% – A Dampener! 1.3 Savings – EEE Model on PF to Reign! Personal Income Tax Slabs – Basic Exemption Limits Raised! 30% for above Rs.10 lakh taxable income group of people (current slab above Rs.8 lakh). If you’re a Senior citizen or women, there is good news for you – the threshold income has been fixed at a higher Rs.2.5 lakh as against Rs.2 lakh for standard categories. On the Corporate tax front, the DTC Bill cleared by Cabinet has sought to retain the present level of 30% (for domestic companies), but inclusive of 10% surcharge and a 3% education cess. However, the above figure fall trifle short of expectations of the corporate lobby which stood at 25%, as proposed by the DTC draft released earlier. Minimum Alternate Tax @20% – A Dampener! The Bill seeks to impose Minimum Alternate Tax (MAT) at 20% of the book profit as against 18% being levied currently on the Indian companies. The original DTC draft had proposed to calculate MAT on gross asset base which could have translated into effective higher tax rate based on huge asset base for the companies operating in capital-intensive sectors such as infrastructure and capital goods. But, owing to sharp criticism, the levy is to be maintained on book profits, as now. Further, the axe is likely to fall on Indian IT companies with the advent of DTC regime which would call for the end of “Tax holidays” enjoyed by these companies. This step will bring these IT companies on par with other industries prevailing in India. Savings – EEE Model on PF to Reign! In the first DTC draft released in August 2009, the Centre had proposed to cease most of the exemptions, including savings instruments, by taxing them at withdrawal of the investments as per the Exempt-Exempt-Tax (EET) methodology of taxation. However, the Cabinet-cleared DTC Bill has proposed to continue with the EEE method of taxation. On public demand, the finance ministry had agreed to abandon its previous proposal on tax retirement benefits under Provident Fund. This measure is likely to act as a booster for public savings and income, but may culminate into potential losses in terms of prospective government revenues from taxes that could have been earned during the maturity of investments up to Rs.3 lakh in a fiscal year as per the Exempt-Exempt-Exempt (EEE) model. To sum it up, the DTC Bill is softer on the aam-aadmi with a decent up-tick in the basic exemption limits, while not so conducive on the corporate lobbies in terms tax reliefs from what is already there in the Income Tax Act currently. Your thoughts on new DTC ? Much of our income (GDP) & the Inflation rates depends upon Agriculture. So it would be good, on the part of government, to concentrate more on above one. I am totally agree with what Altaf rehman said-The purpose of taxes is to finance Govt services. If Govt charge for services, no need of taxes. Really good line, i m impressed. Earlier those in the bracket of 0-1,60,000 were out of tax net. Now those in the bracket of 0-2,00,000 are out of tax net. People who are benifitting from this arrangement are those whose income is between 1,60,000-2,00,000. Similarly at higher tax brackets. A small portion of people were brought from higher tax load to lesser tax load. 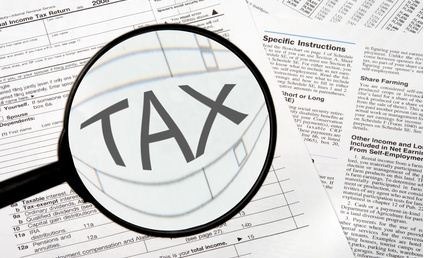 It is only a convenient arrangement for tax departments to lessen their work load. The government is not doing anything to all people at equal rate. You may ask what govt could have done? Here is the solution. Also farm income taxation policy needs massive overhaul. 1) Prohibit holding of land of less than 1/2 acre. If the father holding 1/2 acre dies, only one son should inherit the land. His sons have to sit together and decides who inherits it. Or they should sell it. This 1/2 acres, 1/4 acres are not productive and they wont even support a single family. 3) Subsidies of fertilizer may continue but free electricity should be stopped. And so many more radical reforms needed. In west there is nothing for free. The delivery of a kid costs money, the education of kids costs money, unless u pay from ur income while u r earning, u dont get pension at the end. You drive on road, pay toll. You discard garbage? Pay tax. In India everything is free. Govt start charging for its services. Otherwise how can it come out of fiscal / budget / many more deficits? The purpose of taxes is to finance Govt services. If Govt charge for services, no need of taxes. But this is so dift from the earlier drafts ! ……..i mean the slabs could be dis-appointing for many ! ………. good, neverthless ! The indirect tax reform – GST – was scheduled to be placed before the Union Cabinet in the recently concluded Monsoon session of the Parliament itself. However, since BJP-led States had opposed the current format of the Bill based on the concerns related with the autonomy of the State powers on the Constitution Amendment Bill of proposed GST, the Bill could not be introduced in this session of the Parliament on account of lack of consensus. This could most likely delay the GST beyond April 1, 2011. However, the GST Bill is expected to be placed before the Cabinet in the up-coming Winter session of the Parliament and the Bill could still be implemented around June-July 2011, if all goes well. The “Tax holidays” are only enjoyed by the IT cos who are operating in the SEZ. So what difference does it make to the majority who are not in SEZ ? Positive for Individuals, definitely ! Are there any resources to learn more about taxes for self-employed individuals ?